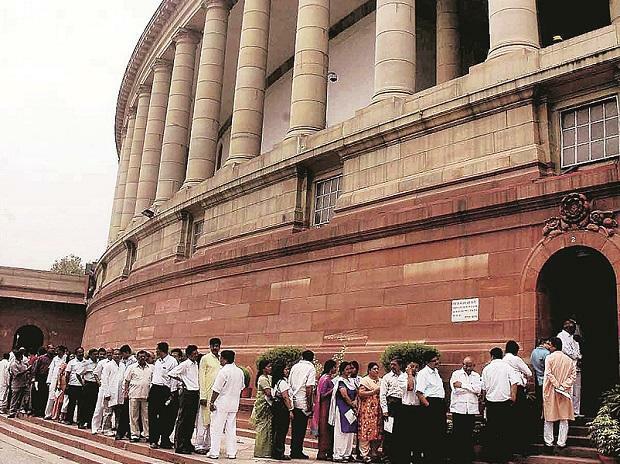 Government on Tuesday sought Parliament's nod for gross additional expenditure of Rs 1,98,831.36 crore during the current fiscal ending March. The third batch of Supplementary Demands for Grants, tabled by Finance Minister Piyush Goyal in the Lok Sabha, said the net cash outgo aggregates to Rs 51,433.28 crore. The gross additional expenditure aggregates to Rs 1.47,396.87 trillion to be matched by savings by ministries or higher receipts. Of the total net cash outgo, the document has pegged Rs 19,481 crore for the Ministry of Agriculture and Rs 4,840.75 crore for Ministry of Road Transport and Highways. The government is also seeking over Rs 4,700 crore for the Ministry of Home Affairs.